A Constellation of Vital Phenomena by Anthony Marra <~~Giveaway too! Go enter! This was a slow week of reading for me. I blame Arrested Development. I've been watching all of it's glorious hilariousness on Netflix. I have so many books from the library and from Netgalley and on my to be reviewed pile that I'm not sure where to start. I've implemented a library ban on myself for the time being. I need to stop requesting books until I get my piles under control. Hey bloggers? If you could stop reviewing AWESOME BOOKS ALL THE TIME that would really help. Thanks! An Under the Dome readalong!? Doesn't that sound like a fab way to start the summer? It's not too late to sign up! 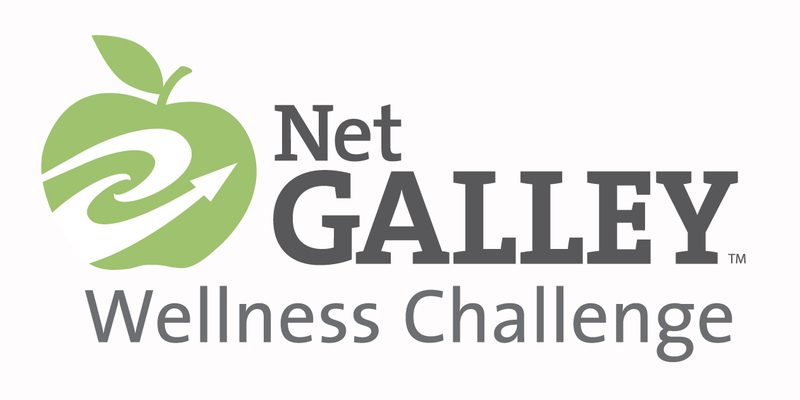 Have any of you signed up for the NetGalley Wellness Challenge? 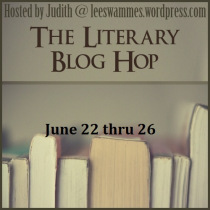 Judith is hosting another Literary Blog Hop. It's a fun event focusing on giving away books with literary merit. (My favorite kind!) You should totally sign up. Have a fantastic week my bookish lovelies! I feel totally the same about my upcoming pile. 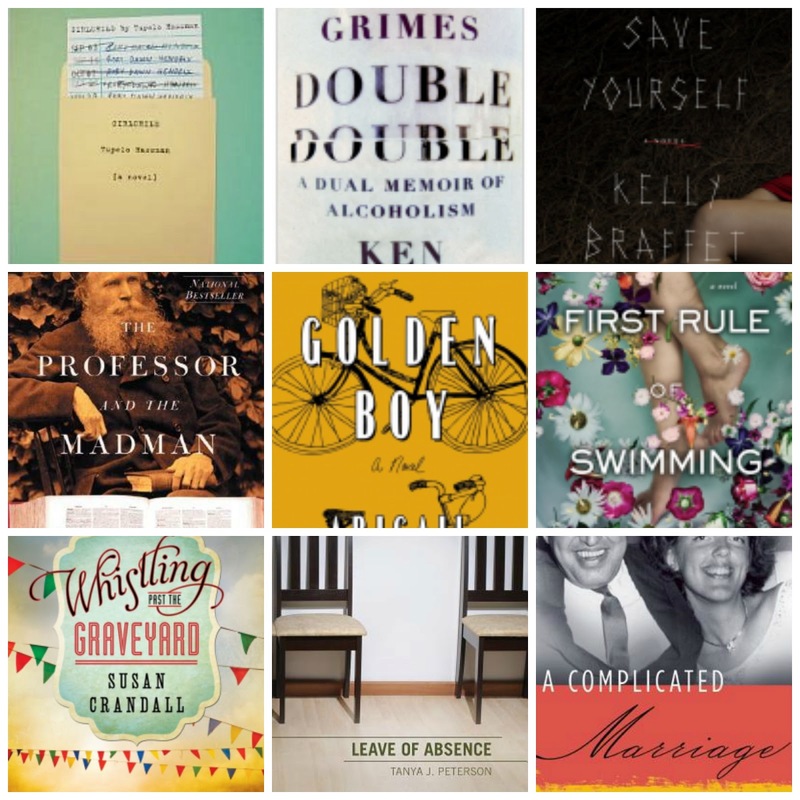 June is killing me, there is so much goodness. I'm in love with Girlchild and Golden Boy in equal parts and I'm super excited about Save Yourself. You have some tough choices! Thanks for linking to the blog hop, I'm going to join in! I think everyone's blaming either school or Arrested Development on their lack of reading this week! :-) I've been meaning to read Girlchild for ages. I hope you like it. Enjoy your weekend! I keep hearing good things about Girlchild and I'm looking forward to diving in! Oh my gosh, my library list is out of control. I just keep finding more and more books to request that I have to keep sending back. I didn't get to Lean In when I had it, so I had to request it again... ridiculous. I do the same and have put a "to-request" ban on myself too! I've been eying the NetGalley wellness thing. Still trying to decide. I hear your pain and I commiserate! It's a first world problem right? But still! I'm looking forward to hearing more about the NetGalley thing. There wasn't a whole lot of info when I signed up. I'm waiting for emails I guess? I'm hoping it will help me shape up my profile there, etc. We'll have to compare humidity this summer, lol, it gets pretty disgusting here! When I lived next to Lake Superior it was better. That lake breeze is fantastic! I had a slow reading week, but mine was because I was in a slump - I wanted to read but nothing felt right! And if you manage to stop going to the library / requesting review copies, let me know how you do it because I have found it IMPOSSIBLE!!! Slumps are the worst! Too many choices can be detrimental, don't you think?? Ha, wish me luck with the library ban. I've done it before with some success. It's not easy! 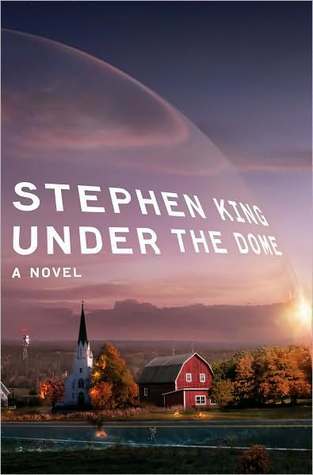 I want to read Under the Dome so badly, I just don't have the time for it. 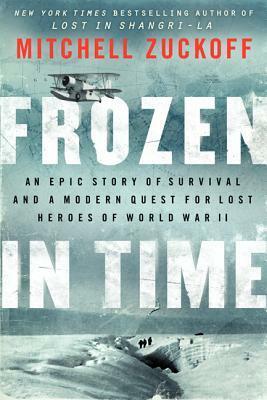 And I should really read it soon because the mini series is coming this summer. Gah! I can't watch the show without reading the book first because the actors portraying the book characters will get stuck in my head, know what I mean? I absolutely know what you mean. I like to come to a book fresh as well. :) I'm going to read it along with other books so that I don't fall too behind on reviews, etc. I've never read more than one book at a time and I'm a bit nervous about it all. The never-ending TBR pile. Sigh ;)I know that books will still come in the mail, but at least I won't be actively adding to the pile! Oooo I was tempted to join the Under the Dome readalong, but I only found out about it about 2 days ago and I have SO many other books I'm about to read. I hope it's fun! I didn't watch AD when it first aired. I heard people raving about it and then freaking out when it was cancelled. It's HILARIOUS. Oh my word. Touche Lindsey! ;) Let's blame someone else...authors? Publishers? Someone! Well look at you two! LOL ;) Arrested Development has grabbed me and won't let go. Help! It is so hard this time of year with all the fantastic books coming out, isn't it?! Yes it is! The fact that I'm lacking in self-control doesn't help matters, lol. A blogs ban! That would probably do the trick! Could I actually pull that off? Nope. Lol ;) You sound pretty organized which is great. LOL I have the same problem with my TBR list right now. Doesn't help that I had that slew of pre-approved books on NetGalley all at once! Blech, that is the worst :( I've had to do that to a couple of books recently. I don't like that feeling! I don't think you're the only one swamped with working through your TBR pile - book blogger problems eh. I'm particularly trying to work through my review books from Netgalley and yet I still find myself requesting more, do we ever learn eh. 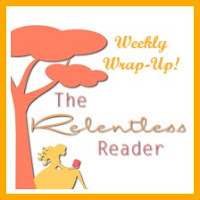 I hope you enjoy your upcoming reads, some of them look quite interesting so I'll have my eye peels for reviews! After all the hype from the last weekend I feel like I should watch Arrested Development. Good luck with your TBR pile! Arrested Development is simply the funniest and dorkiest show ever :) Thanks for the luck, I think I'll need it! I understand your feeling about all the blogs with the amazing reviews, making you want to read more and more books. So it is not our fault, it is their fault! But I also understand the need to getting the piles under controle, good luck with that! I want to agree with you, it's not MY fault! ;) Thanks for the good luck wishes Bettina! Omg I love Arrested Development!! We watched two of the new episodes last night!! Buster, Lucille, G.O.B..I can't decide who I love most! I think I'm on the 30th episode or so? 30ish more to go until I can watch the new ones :) It's so damn funny I can't stand it! 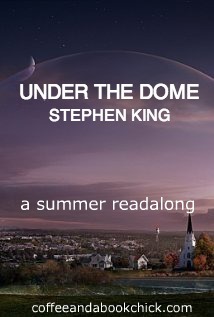 You should totally join the Dome Readalong! We've just started and there is plenty of time! I've got a similar book problem too, and I've wondered recently how not reading a NetGalley book before it's archived affects later request success. Maybe we shouldn't request so much, but when you truly want to read and review the book, and you think you'll have time, it's hard not to. I'm not joining in the Under the Dome readalong, but it definitely looks like it's going to be fun. I'm still regretting that I couldn't fit in the It readalong a while back! I've never done a blog hop before; maybe I should try the Literary Blog Hop. I'm overwhelmed with family things this month and getting way behind on reviews, though. Good luck with the piles - it seems to be a never-ending plight for me! I have all the best intentions but then . . .if I watched 50% less TV, I would definitely make a dent in those piles! I get sucked into a new (to me) series on Netflix and I'm a goner! I'm hoping that if I stop requesting books for a bit I'll be able to catch up on my pile :) Hoping! Are you reading Leave of Absence with the tour? The previews for Under the Dome looks interesting. I'm currently reading The Host by Stephenie Meyer and Anna Karenina by Tolstoy. It's really great so far :) I hope you're enjoying your current reads Rose! LOL, oh in real life?? That's awesome ;) I'd be there if I could! I will be, one of these days ;) Hopefully sooner rather than later! It's good that I'm not alone in my OVER BOOKED MISERY ;) Ok, it's not really misery, but you know what I mean!